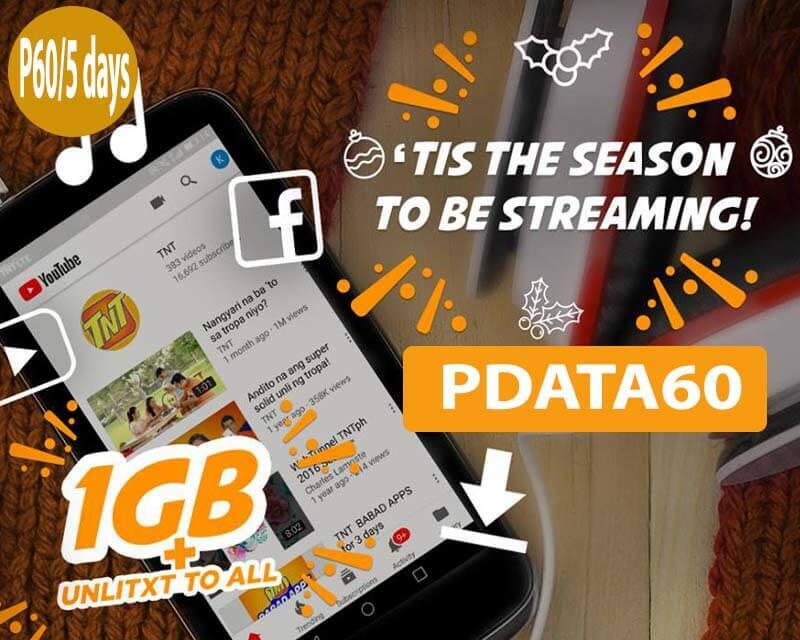 Another affordable offer to Talk N Text subscribers is the new Panalo Data 60 also known as a TNT PDATA60 promo. They now added more mobile internet data so you can enjoy more activities online while you subscribed to this package. You can also enjoy unlimited texts to all networks up to 5 days using this offer. All of that mentioned services will only cost you 60 pesos and valid up to 5 days. With 1GB of data allocation, you can browse all your favorite sites and access social media apps installed on your phone. You can also use it for minimal video streaming, light files downloading, Facebook and open access surfing. You can easily subscribe to this promo by texting the keyword to 4545. All you need to do is reload your TNT prepaid SIM with 60 pesos at your nearest load retailer or via online so you can enroll in this offer. Just text PDATA60 send to 4545 to register with Talk N Text Panalo Data 60. Take note that TNT PDATA60 has 1GB of data consumable for 5 days. It will not reset every midnight and you are allowed to register for another Talk N Text internet promo once you fully consumed the allocated data before the expiry date. How to load via retailer? Just text PDATA60(space)(subscriber’s 11-digit TNT mobile number) send to 4540. If you want cheaper, you can also subscribe to Panalo Data 30 with 500MB of data + Facebook access for only 30 pesos valid up to 2 days. Before you start using this promo, make sure you received SMS notification from Talk N Text that says your subscription is now active and ready to use. You can also visit TNT website for more offers or you may dial *121#.